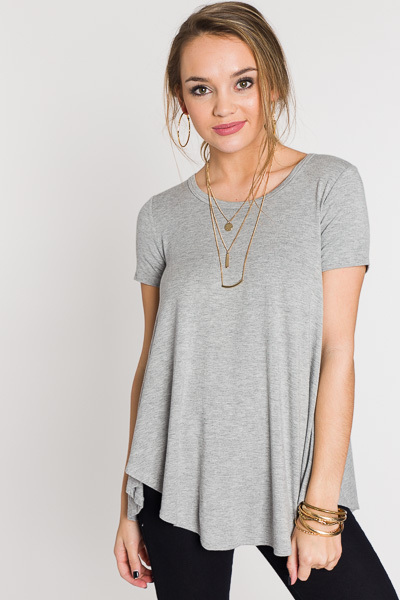 This tee is a must have basic! The bamboo fabric is a tried and true favorite! It is SO soft, stretchy and cool against the skin. 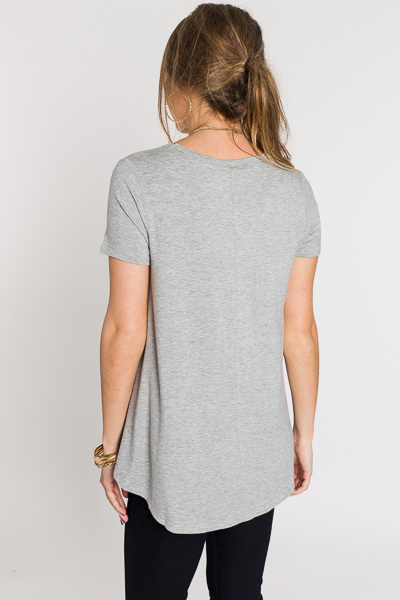 Plus, the rounded hem and scoop neckline are right on trend.